commitments the presidential candidate of the PDP, Atiku Abubakar made to the Deputy President of the Senate, Senator Ike Ekweremadu. He is now happy. He has also settled with Senate president Bukola Saraki. 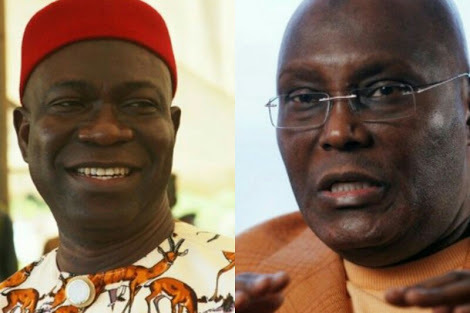 Atiku's calls were said to have pacified Ekweremadu and made him drop his alleged threat to leave the party and work for the Presidency. As the highest political office holder in the party from the South-East where the position was zoned to, Ekweremadu was believed to have positioned himself for the slot. A member of the National Working Committee of the party, who spoke on condition of anonymity with The Punch, said Ekweremadu’s fear was justified. But David Mark is today an ordinary member in the Senate and there is nothing wrong with it. It happens. Hence, Ekweremadu has debunked reports that he was leaving the party, noting that he remained a member of the PDP.